While most personal injuries are unpleasant and can negatively affect a person’s life, a brain injury is particularly traumatic and can cause acute long-term damage. Medical professionals generally agree that a severe brain injury can occur from a strong blow to the head that forces a person to lose consciousness and suffer memory loss for more than twenty-four hours after the accident. 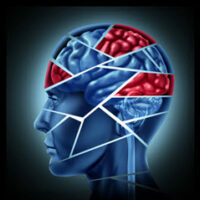 A large percentage of those suffering from a traumatic brain injury will require extensive medical care, and rehabilitation is often required to maximize a person’s physical and cognitive well-being. However, a full recovery is never guaranteed, and a severe brain injury could alter a person’s ability to perform normal daily activities for the rest of their life. It is very possible that a change in brain function could modify a person’s ability to interact with family members, work associates, and community members, forcing them into a depressive state that ultimately has a negative impact on their future. A recent example highlighting the dangers of brain damage occurred on August 12, 2017, when Terry Lynn Kimball died after getting in a fight with his Uber driver in St. Petersburg, Florida. Kimball and his driver, Kabir O’Farril Diaz, were involved in a physical altercation outside a Quick Pick Foods store because of a difference in opinion over the desired route. Kimball was struck in the head and never regained consciousness. He later died in the hospital, and the police report clearly states that he suffered from serious brain trauma. While not every brain injury will result in death, this story serves as a distinct reminder that head trauma can produce a myriad of unintended consequences. It is important for a person to retain legal representation as soon as possible and counter any unforeseen circumstances by formulating a plan that will result in a sufficient financial settlement that properly takes into account the costs of medical care and pain and suffering. Let our family help take care of yours through this difficult process. In order to receive a settlement for a personal injury you must prove that the person responsible for the injury had a duty to not cause injury but failed in that duty, that the failure of that duty is what caused the injury, and that there are damages as a result (medical bills, lost wages, pain and suffering, etc.). There is a special rule for car accidents in Florida, which is considered a no-fault state, meaning that each person’s insurance company will pay for their own damages regardless of who caused the accident. However, this rule only applies to minor cases with small medical bills and no real injury. Unfortunately, many car accidents cause significant injuries resulting in loss of a major bodily function, permanent injury with a need for consistent medical attention, and death. Traumatic brain injuries are one type of serious injury that require significant financial compensation to cover the costs of medical care and the long road to recovery. It is also important to know that in Florida there is a four year statute of limitations placed on filing a personal injury suit. The time starts the moment after the accident takes place, so it is crucial that a person file a lawsuit within the appropriate time frame. If a person fails to meet the deadline, it is extremely unlikely that their case will be accepted. The goal of the insurance company responsible for an injury is to pay out as little money as possible. For brain injury victims in Florida, you owe it to your family to retain the services of an experienced law firm who can maximize financial recovery in the toughest of cases. If you have suffered a traumatic brain injury at the hands of a negligent party anywhere in Florida you should contact the Matassini Law Firm, P.A. and schedule a meeting with one of our personal injury attorneys. Although we live and work in the Tampa Bay area, we handle cases throughout Florida.